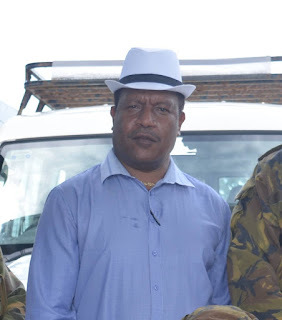 Former Opposition Leader and ousted Kandep MP Don Polye today (Thursday) condemned the executive mafia-style killing of Border Development Authority CEO Fred Konga. Late Konga was gunned down at Waigani Freeway tunnel in Port Moresby this morning at 01:30am by rascals. The motive of his killing is unknown, pending a CID investigation. "The news of his killing is shocking and heart-sinking! I have lost a great friend," said Mr Polye whilst in tears. On behalf of his family, he conveyed his heart-felt condolences to the deceased's family and relatives at this time of bereavement. Polye remembered him as humble yet he had touched many hearts of his colleagues, tribesmen and friends. Polye, a close friend since high school days, described him as a great father. "He is, indeed, a great loss to his newly-created Jiwaka province and PNG as a whole. "He will be missed so much," he said. Meanwhile, Polye warns that the style of killing should be an eye-opener for authorities on how well they are prepared to track down culprits swiftly. Many other countries around the world, he said, have gone through such a killing and PNG is only experiencing its share. He added hired killers were existing in PNG.